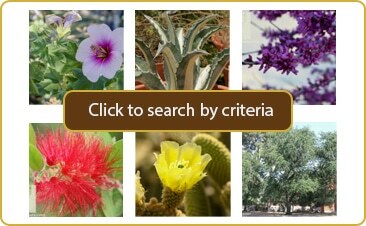 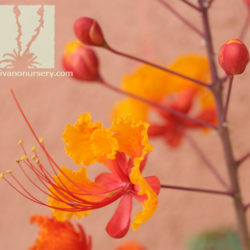 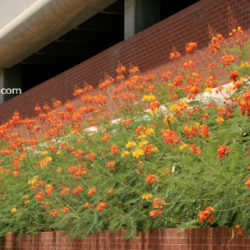 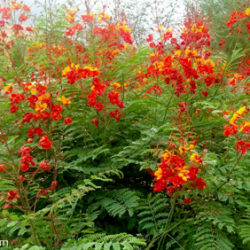 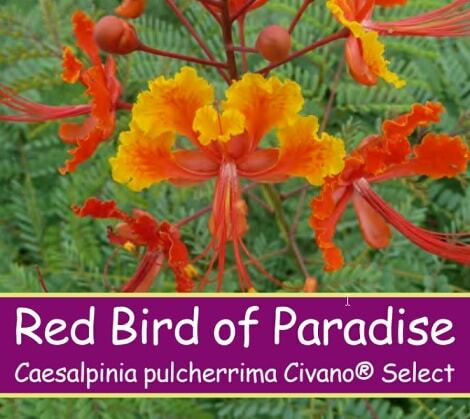 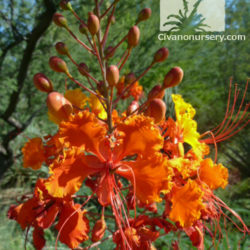 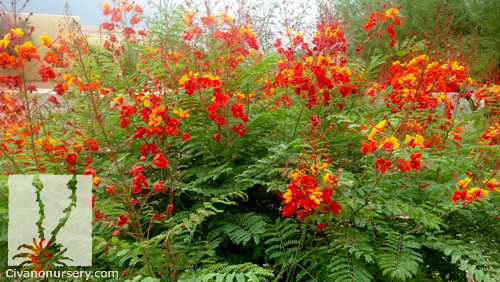 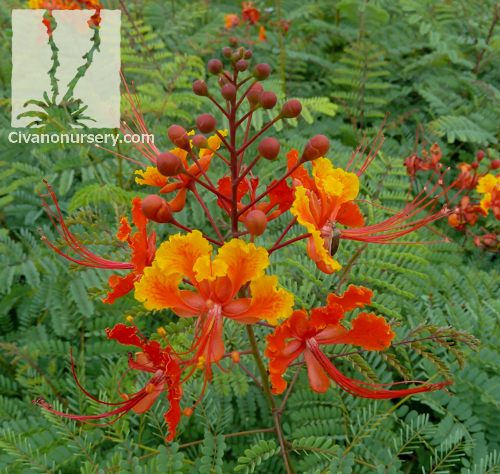 Red bird of paradise is a tropical-looking shrub that you’ll immediately recognize if you live in the Tucson area. 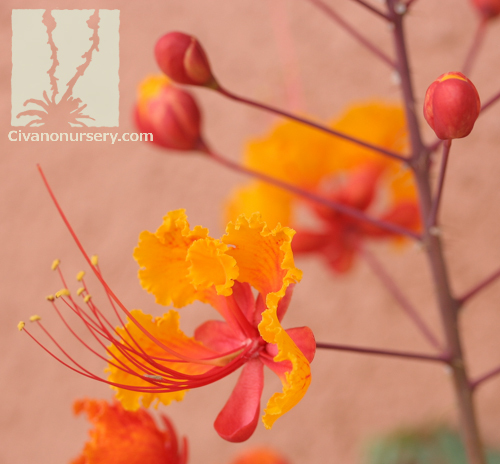 It graces many of our outdoor spaces with bold, bright color from late spring through fall, lending its soft texture to our hard landscapes and asking for very little in return. 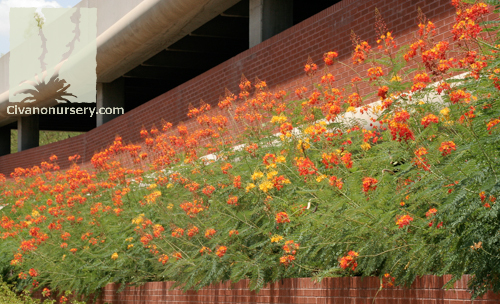 This large accent loves the sun and soaks up harsh, reflected heat. 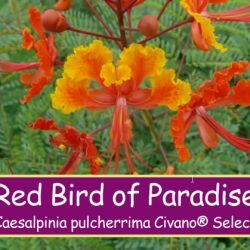 While many sources list it as an evergreen, red bird typically drops its fern-like foliage and goes dormant for the winter in our climate. 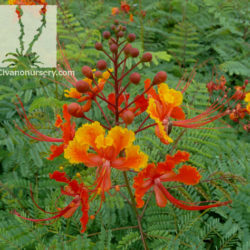 Come springtime, new growth quickly replaces any frozen stems to establish a rounded form packed with blooms by summer. 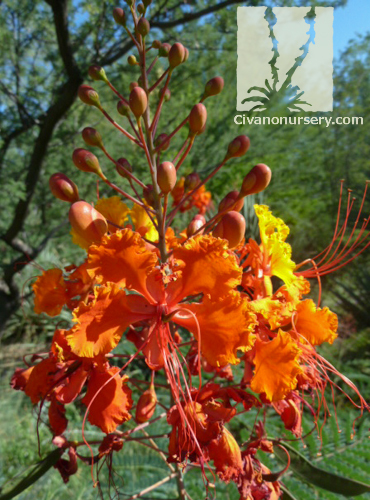 Butterflies and hummingbirds will stop by for regular visits once the showy spikes of ruffled orange and red flowers begin to open.